Flanders and Wallonia are set to issue decrees in the coming months that will ban smoking in cars when children are present. A proposal for a countrywide law was tabled in the federal parliament two years ago, but has still not been debated. As air quality is a devolved competence, the regions have decided to take the lead. Wallonia's decree, first announced last winter, would see €150 on-the-spot fines for those who do not comply. Flemish environment minister Joke Schauvliege has now announced a similar measure for the north of the country, but with much harsher penalties - up to two years in prison and a fine of up to €250,000. "That may seem high, but it makes sense," Schauvliege said. "When you ban something, there has to be a strong deterrent. 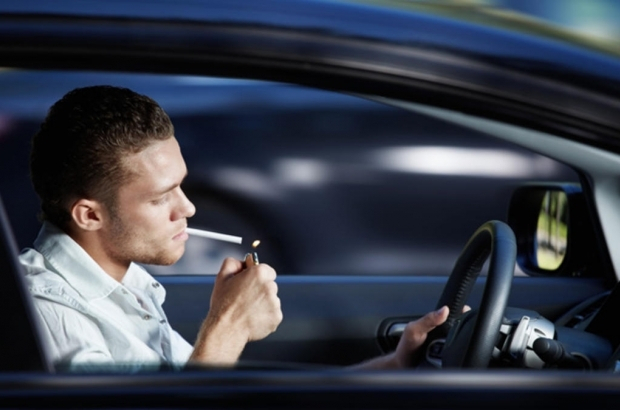 Smoking in the car in the presence of children is particularly harmful and we want to react." Anti-smoking groups have been campaigning for years for the issue of passive smoking in cars to be debated in the federal parliament. In a confined space such as a car, toxin levels are more than 20 times greater than in a house. Federal health minister Maggie De Block is in favour of a nationwide ban. Several European countries, including France, have already taken action. If the Belgian authorities were that concerned about health and safety in cars, then there should also be a campaign/crackdown on lack of use of rear safety belts. Only from my own (and friends etc.) observations, but this has to be the country with the lowest use in Western Europe (at least...). I rarely see it in neighbouring countries but here it is a daily occurrence.